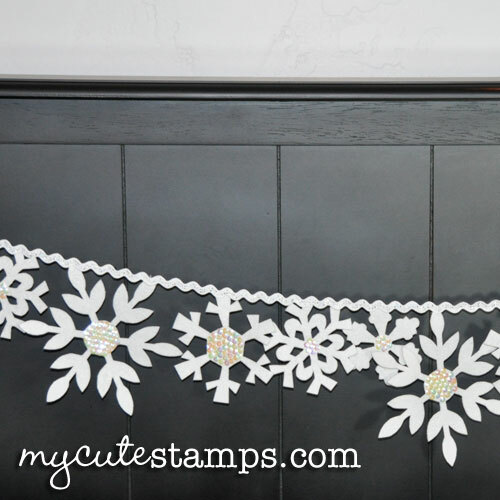 It's hard to find a more inexpensive and yet attractive craft than paper snowflakes. I cut these out (making a huge mess--thank goodness for vacuums!) over a period of two days--always while the baby was sleeping of course (trying to keep all the paper pieces out of her mouth would have been an impossibility). My 3-year-old and I had fun as we taped them up all over our windows and dangled them from the ceiling in our dining room. Now our house feels like a winter wonderland! A warm one--the best kind. I learned a few hints though--the biggest hint would be to start with a square piece of paper and then after it is all folded up, cut off the end to make it rounded before cutting your pattern into the paper. That way it ends up as a basic circle or hexagon shape rather than a square. 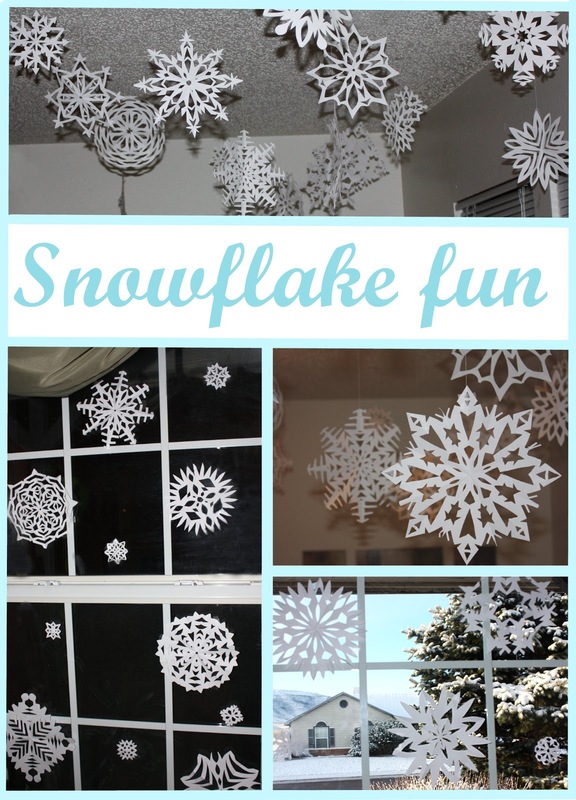 Making snowflakes kind of got me on a snowflake kick and I found these other great ideas. What a pretty cake! Maybe I'll throw a little snowflake party; wouldn't that be fun for the kiddos! 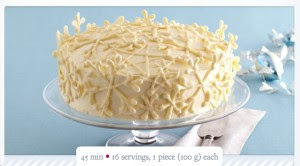 Vanilla Snowflake Cake from Kraft. Basically what they did to make the snowflakes is they melted white chocolate, placed it into a bag and snipped the end off, then drew snowflakes. 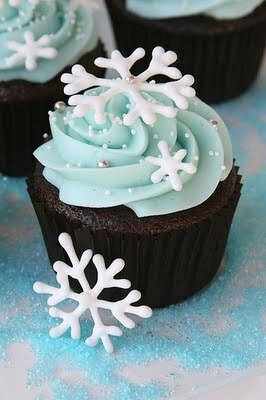 When the snowflakes hardened you can lift them up and put them on your cake. What a pretty cupcake from Glorious Treats . I love this snowflake garland over at mycutestamps. She used felt and sequins to make these pretty snowflakes. 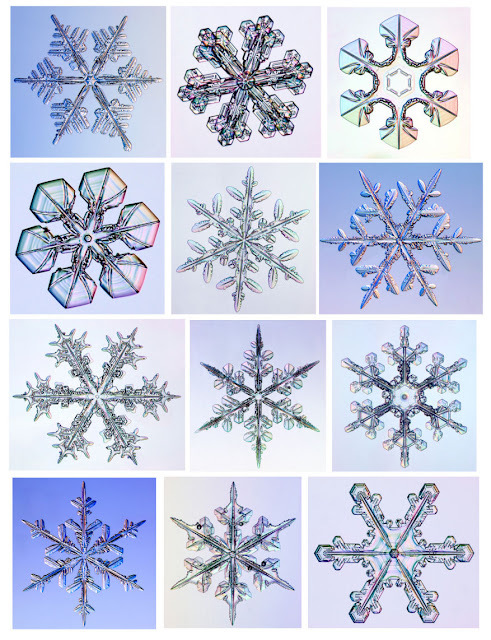 And last but not least, look at these fabulous pictures of REAL snowflakes I found over at the California Institute of Technology. Can you belive how beautiful and perfectly symetrical they are? Nature is an amazing thing. Stay warm and have fun with snowflakes! Oh man... these are amazing. 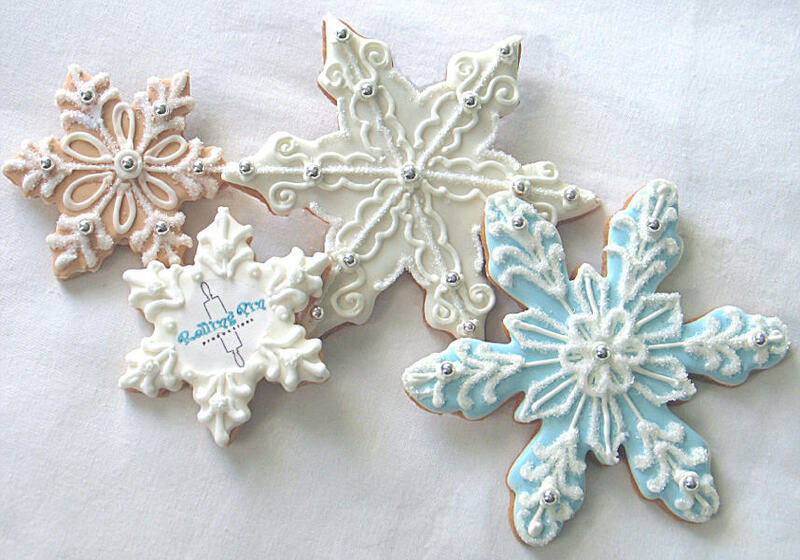 Those snowflake sugar cookies are ridiculous. Mine are going to look like a toddler made them compared to these! Dude, your snowflakes are rad! Way better than anything I've ever made. :) I'm definitely trying those patterns. Your snowflakes are amazing. I can't believe how beautiful they look. Of course the real snowflake images are amazing too. We had so much fun making snowflakes at our house. My son said it was the most fun he has ever had!! hahaha.